Happy Wednesday! We are into the second week of the current All That Scraps Wednesday Challenge... a color challenge using RED, PINK and CHOCOLATE! This is Swiss Pixie Baby Girl from the new January release, which is now available at the ATS store! Colored it up with Copics, gems, some stickles on the blocks, and followed the Deconstructed Sketch #82. 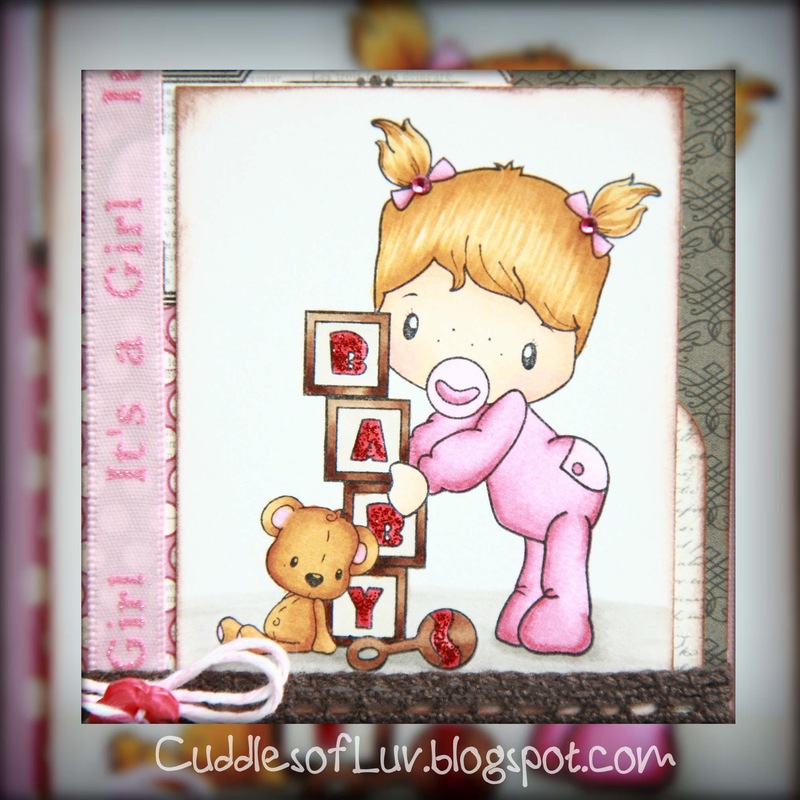 Papers are from MME Blush collection, and distressed with Colorbox brown ink. The brown lace is from a local Japanese dollar store called Daiso, they have a ton of good household items plus some crafting supplies! Finished it with a ribbon (from Michael's), some baker's twine, and a button from Makin' Memories. Please visit the ATS Challenge blog to see more inspiration! and be sure to check out all the new releases that are now available in the ATS store! Awwww, how sweet!! Precious card! Cute colored image and lovely card. Thank you so much for joining us at Oozak Challenge. OMGosh this is so cute and I love your coloring and great card design using this sketch...yep, you're right ....great minds think alike, lol. It's fabulous. Sweet card! Love the take on the color combo and details! Cute! i just used that image for a baby girl card. Love the layout and papers. Great coloring Mimi!